In a bowl, mix together potatoes, feta cheese, egg, spring onions, dill, lemon juice, lemon zest and black pepper till well combined. Cover and refrigerate for 1-2 hours or till firm. Roll the mixtures into golf ball size fritters and flatten slightly. Dust slightly with flour using a strainer/sieve . 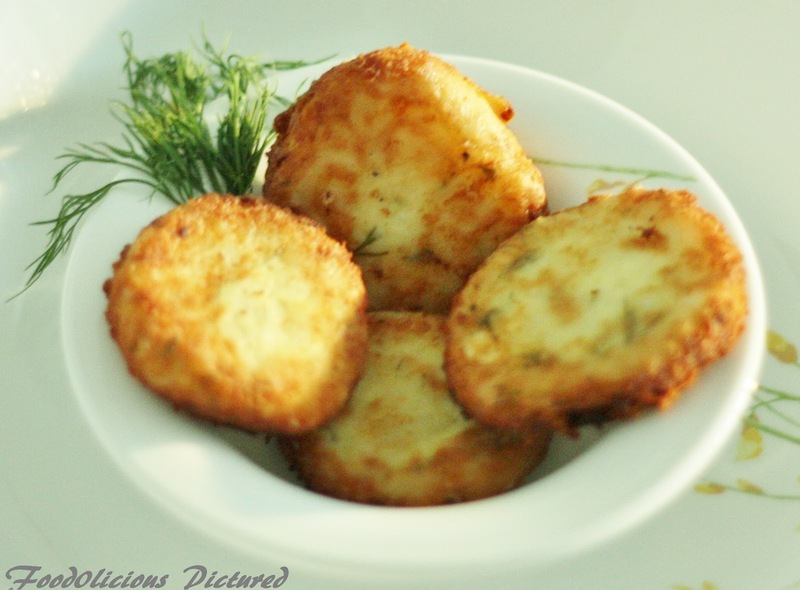 Heat oil in a frying pan and fry the fritters until golden brown on both sides. Drain on paper towel and serve hot.